Lisa was inspired by Michelle's story and Mary's story. A 2016 back injury – incurred while actually exercising – is now a distant memory thanks to the professionals at Be Strong. I’m also excited about my ability and new found confidence to accomplish more in the gym. I’d been working out at home for about a decade, but simply couldn’t get back on track after a pulled back muscle sidelined me for about year. I went from working out for 40 minutes, 5 times a week to just a couple of times per week, and eventually stopped for fear of reinjuring my back. In addition to staying healthy and fit for personal reasons, it’s important for me to be healthy for my career. 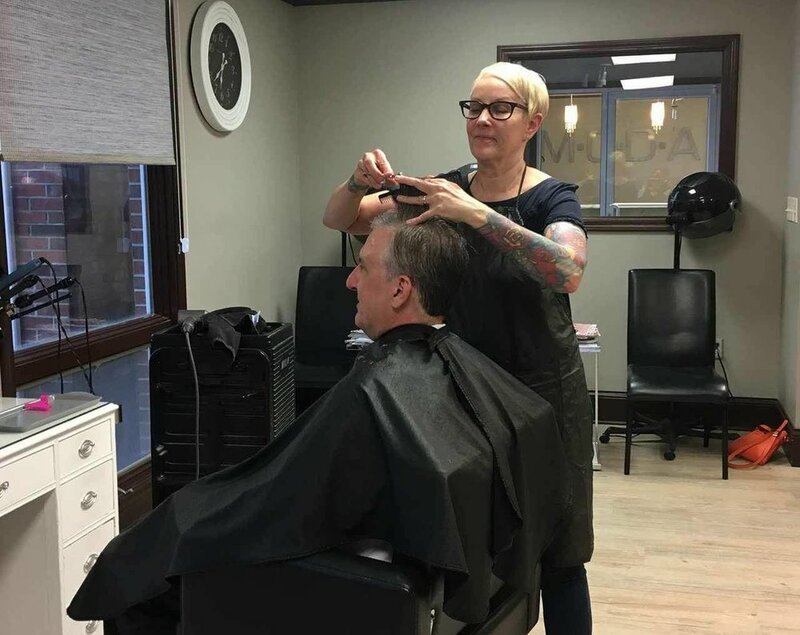 As a hairstylist for 35 years, I’m on my feet for most of 8-10 hours a day. The pulled back muscle didn’t help the workday go any faster. At end of January 2017 I contacted Drew at Be Strong. This wasn’t an easy step. I’d always exercised at home. However, success stories at their website, like this one, convinced me to reach out to Be Strong. I was a nervous wreck for my fit test, but it worked out fine. I was sure I would never be able to do the things I saw others doing during my test, but now I am. Drew started me out slow and after a few weeks I couldn’t believe how much better my back felt and how much stronger I am today. While there are some days I don’t think I’ll get through the workout. The coaches are cheering me on. I can’t say enough about the coaches: Lauri, Alex, Jessie, Chris, and Drew. They’re the best and they inspire me and push me at every workout. I never imagined at age 54 I would be doing an intense WOD or deadlifting. The confidence is back and the back injury is forgotten thanks to Be Strong and what they inspired me to accomplish.